With Halloween and Bonfire night fast approaching and the latest figures from a major report by the WWF reporting that humanity has wiped out over 60% of animal populations since 1970 makes it even more important that we help spread awareness of how important it is to look after wildlife and it starts outside our backdoor. Hedgehogs are one example of an animal in huge decline and needs our help to make sure we protect them for now and future generations to cherish. So please make sure you check your bonfire before you light it for hedgehogs and other wildlife such as frogs, toads or newts, or alternatively go to a official local bonfire and firework display. 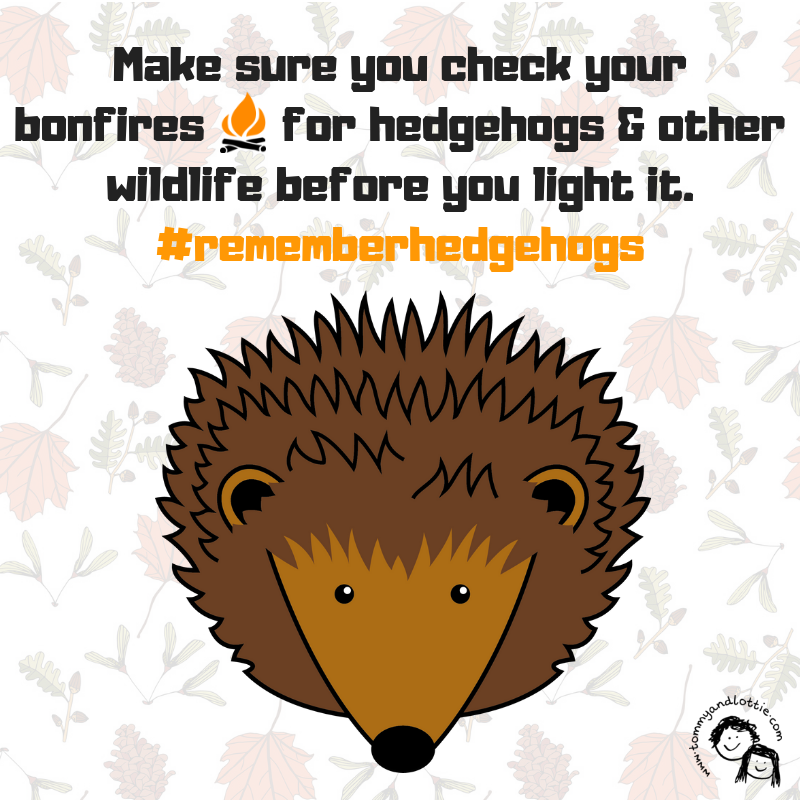 If a bonfire is left unattended, for however short a time, it’s imperative to check for young children, hedgehogs and other animals, before lighting. Hedgehogs tend to hide in the centre and bottom two feet of the bonfire, check by gently lifting the bonfire section by section with a pole or broom. Never use a spade or fork as these can stab them. Using a torch will help to see and listen for a hissing sound, as this is the noise they make when disturbed. 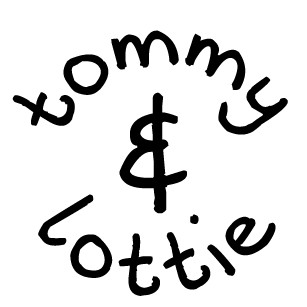 For a more detailed plan of action of what to do if you find a hedgehog head over to the amazing charity British Hedgehog Preservation Society for more information. To help the hedgehogs and encourage them into your gardens we have listed some top tips. Create a wild corner in your garden which will offer shelter, protection and food for hedgehogs and other wildlife. Avoid using pesticides and slug pellets in your garden. Not only do these harm the hedgehogs but also damage the food chain. Provide a shallow dish of fresh water and food such as meat based cat or dog food or chopped unsalted peanuts, especially during long dry spells. Make or buy a hedgehog home, it may be used as a hibernation site for the winter months or as a nesting box for a mummy hedgehog and her hoglets in the warmer months. Make sure hedgehogs have easy access in and out of your garden by having a 13cm x 13cm gap in your boundary wall or fence allowing hedgehogs to pass through. Check for hedgehogs before strimming, mowing. Dispose of litter. Every year hedgehogs get injured or trapped in rubbish. Check bonfires before they are lit as these are a perfect home for a hedgehog and other wildlife. Hedgehogs are good swimmers but can get trapped in ponds or pools with sheer sides. Keep water levels up and provide a gently sloping edge or place half submerged rocks in the water. Take care on roads, hedgehogs are nocturnal so are often seen at night. 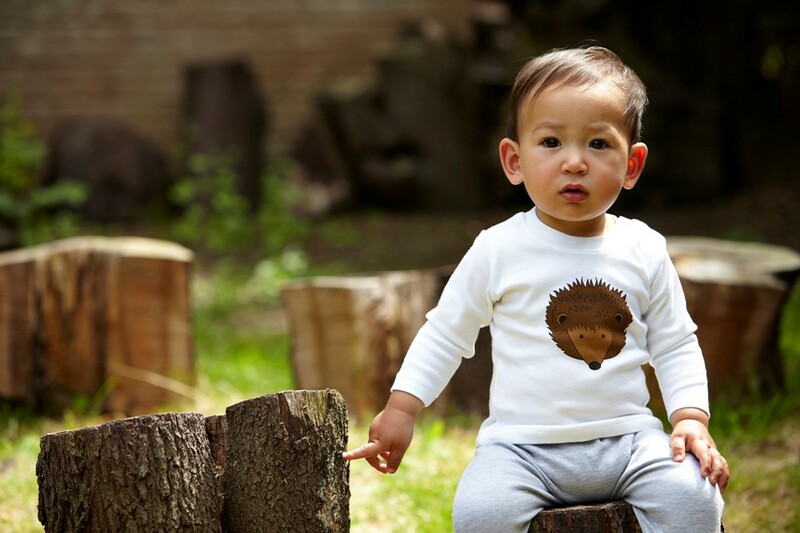 A hedgehogs natural defence is to roll up into a ball – this is no match for a motor vehicle! Nature and wildlife have a profound effect on our health, well being as well as maintaining a healthy eco system. Lets look after them.